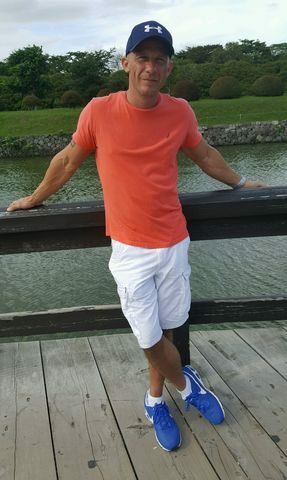 Timothy Dale Crook, 44 of Old Hickory, passed away on Thursday, April 3, 2019. Preceded in death by his father, Billy Eugene Crook, grandparents, Jimmy Cole and Joyce Cole Smith, Odell and Naomi Crook, and uncle, James Kevin Cole. Survived by his mother and step-father, Vickie and James Perry, sons, Cody Crook (Kameron), Blake Crook and their mother, Misty, brother, James Thomas Crook and sister, Amy Aulick. Tim is also survived by his beloved dog “Pumpkin” along with any nieces, nephews and extended family and friends. Tim was born on August 2, 1974 in Gallatin, Tennessee. He worked as a diesel mechanic and loved working on cars. Tim will be dearly missed by his family and friends. A celebration of life service for Tim will be held at Hendersonville Funeral Home on Tuesday, April 9th, 2019 at 11:00AM, officiated by Pastor Jerry Peace. Burial will follow the service at Hendersonville Memory Gardens. Visitation will be held Monday, April 8th from 4:00PM-8:00PM and again one hour prior to the service on Tuesday. Tim was a great friend, and boss to me. You will be dearly missed cousin! We love you! Misty and boys, I am so sorry for your loss. I lived next door to you guys on Cherokee. Tim was a school friend as well. Many prayers for you guys! Thoughts and prayers are with you and yours. Sorry for your loss. We are truly sorry for the loss of Tim. Our loving Creator wants to comfort you with his promise for Tim that he makes through his son, Jesus, who states, “Do not be amazed at this, for the hour is coming in which all those in the memorial tombs will hear his voice and come out.” (John 5:28,29) May this promise of a resurrection bring you comfort and hope for the future.